Hardwood floors are a classic and timeless addition to a home and have grown to become an extremely popular flooring choice among owners. Apart from adding beauty and warmth to your space, it’s also easy to maintain and has a long shelf life compared to other alternatives. 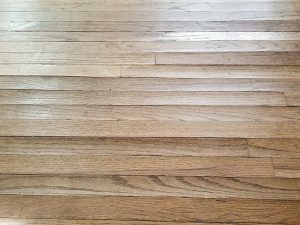 However, given the wear and tear floors are subjected to on an everyday basis, one cannot escape from all of the common problems that could arise as even though hardwood floors are high on aesthetic appeal, remember that there will be times when you will notice abnormalities in the flooring, sometimes through no fault of your own. One of the most common issues people with hardwood floors are faced with is buckling. If you notice a portion of your hardwood floor is slightly raised, this is a sign of buckling and generally occurs due to increased exposure to moisture, which the wooden plank pulls away from the sub-floor, causing the raised appearance. Buckling is often accompanied by cupping or crowning; when either the edges of the plank begin to rise and resemble a cup or the middle section begins to swell. If there is one enemy hardwood floors have, it has got to be moisture, and buckling is what you get when hardwood floors have been exposed to moisture for an extended period of time. This often arises after flooding, subfloor moisture buildup, drainage problems, or leaking pipes. laterally, it leads to floor buckling. So, the first step is to identify the source of moisture and tackle it before you repair the buckled floor. If it is a case of minor buckling, the affected portions can be dried and fixed. In extreme cases, you will need to get a professional to replace the damaged wooden planks. However, while water is a main cause of buckling, if you search and find no obvious water issue there are a few other culprits. Another common reason for buckling is humidity. Yes, changing humidity levels can also impact your hardwood floors. While humidity levels are very low during winter, they rise in the summer months. Similar changes in the humidity levels are seen throughout the day which impacts hardwood floors. High humidity levels are characterized by excess moisture content which causes the hardwood floor to swell, creating pressure between the planks. Prolonged periods of high humidity result in buckling. It is this reason that the National Wood Floor Association (NWFA) recommends maintaining humidity levels between 30% and 50% to ensure proper maintenance of hardwood floors. How do you achieve that? Use humidifiers and air conditioners in your home to keep the levels in check. As per NWFA, acclimation is referred to as “the process of adjusting (conditioning) the moisture content of wood flooring to the environment in which it is expected to perform”. Most manufacturers recommend acclimating the wood to the new environment because wood is generally sourced from different regions and after being shipped and stored in various locations, it is best to give it some time to adjust to the new space. However, when you fail to follow this process, the hardwood floor starts showing signs of distortion which can be hugely disappointing. Due to the difference in moisture content, it ends up swelling on absorbing moisture, leading to buckling. So, don’t rush to install hardwood floors without acclimating. It is better to spend time going through this critical step rather than dealing with the consequences later. Imagine having to ask, “why is my hardwood floor buckling?” after spending all that time and money on getting hardwood floors installed. Infuriating, isn’t it? Improper installation is another reason why your floor can show signs of buckling. There are many kinds of improper floor installation such as not preparing the surface well prior to installation, not attaching the floor properly to the subfloor, uneven underlying surface, inadequate or insufficient nailing, using poor quality products for installation, among others. If the wood is not given adequate space to expand, it will lift up from the subfloor and appear buckled due to moisture retention. Hence, it is very important to outsource the installation to hardwood floor experts who use the right technique and equipment to get the installation done correctly. Hardwood floors are not typically high on maintenance, but you must follow proper care instructions in order to ensure longevity. For instance, you cannot be using soap and water to mop hardwood floors because they will cause buckling due to the absorption of moisture. Instead, shift to friendlier alternatives like a microfiber mop or cloth. Microfibers trap the dirt and dust particles, unlike brooms. In case of spills, clean them up immediately to avoid further damage. It is also a good idea to use floor coverings meant for wood floors such as mats and rugs to minimize damage. Repairing buckled hardwood floors depends on the extent of the damage. Quick fixes are not effective and you will need to get the entire buckled portion replaced or repaired. In many cases, buckled floors aren’t repairable and usually end with floor replacement anyway. What you can do is ensure you are cleaning the floors on a regular basis and proactively tackle repairs before they affect your beautiful hardwood floors. The next time you wonder, “why is my hardwood floor buckling?”, contact us right away. At Wall 2 Wall Hardwood Floors, we are flooring experts offering unparalleled craftsmanship at incredible prices. Whatever your concern, from installation to refinishing, repair and replacement, we will gladly cater to all your flooring needs. This entry was posted in Hardwood Floors, Learning on December 11, 2018 by Oregon Hardwood Floors.